Early French explorers could find only one safe harbor along this stretch of Lake Michigan's northern shore, and they named it Seul Choix--"only choice." 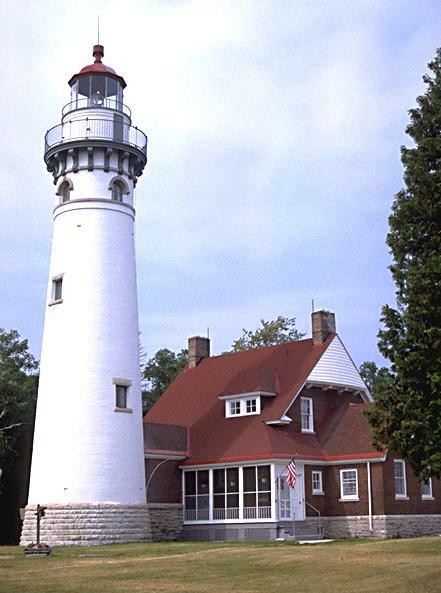 The tower was completed in 1895 and outfitted with a Third Order lens, which has been replaced by an airport beacon. The attached gabled keeper's house with the bowed ends is occupied and in fine shape. Both the tower and house sit on an ashlar stone foundation. If you travel to this section of Michigan, be sure to sample the local food called "pasties." (rhymes with past, not paste) These are a concoction of beef, potato, and other vegetables baked in a pastry shell. Pasties were a fast food of the 1800's carried by workers into the mines. 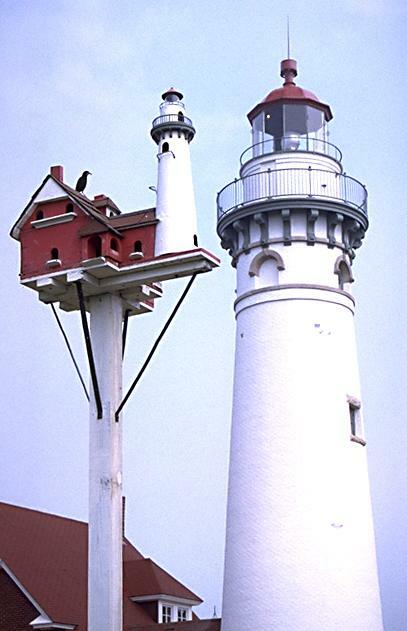 One unusual feature of this lighthouse is the birdhouse, which is a replica of the tower and keeper's house. This birdhouse is still there, and I've seen it even in old photos of Seul Choix. Seul Choix Point is an easy 65 mile drive west of the Mackinac Bridge, along an extremely scenic and rugged stretch of Upper Peninsula.